Tanzania on Africa’s east coast is arguably the continent’s finest safari destination, with a plethora of diverse options to experience the wildlife of Africa at its most authentic. 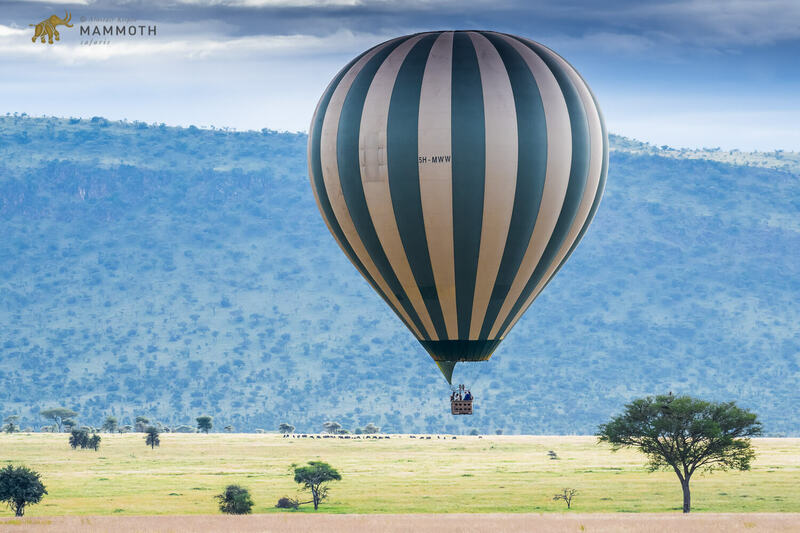 Think of the Migration, the plains of the Serengeti, of the Ngorongoro Crater and of Africa’s highest peak of Mount Kilimanjaro – all this and more is what Tanzania has to offer as a safari destination. Gareth Hardres-Williams of Mammoth Safaris takes us on a whistle-stop tour of this safari Mecca. 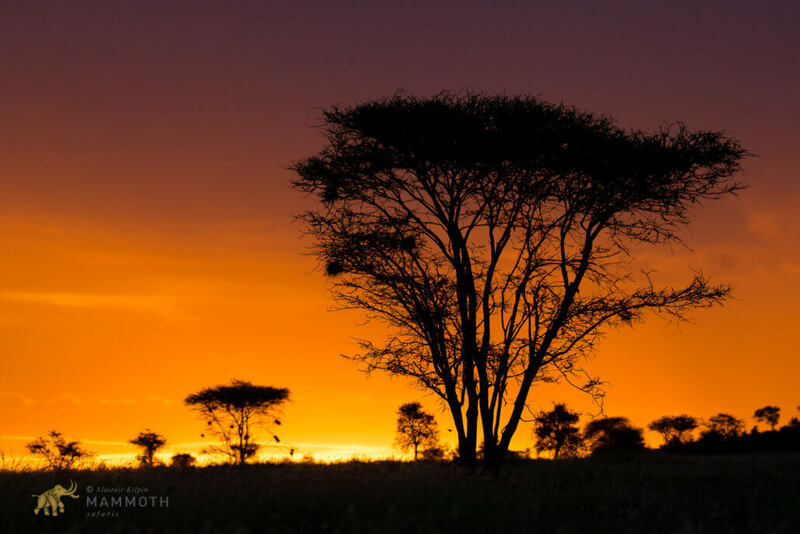 Here, the sun goes down on another day of safari in Tanzania. The Serengeti, Mount Kilimanjaro, Ngorongoro Crater, Zanzibar – all names synonomous with safari and travel – and all in Tanzania. Queen frontman Freddie Mercury was born in Stone Town on the island of Unguja, Zanzibar. There are few better ways to enjoy an African sunrise than from the silent flight of a hot air balloon, gently floating above the savanna. Game viewing from above is also a treat as can be seen here -a herd of Wildebeest grazes beneath the balloon in the distance. The annual Wildebeest migration, that sees hundreds of thousands of Wildebeest move in a circular pattern between the Serengeti and the Masai Mara, is but one of many Tanzanian attractions. The inevitable question always asked is “when is the best time to see the migration?” Due to the very fluid nature of the continuous event (it is not a once off dash across country), predicting the exact position of the herds is somewhat tricky. Wildebeest move to the grass plains of the southern Serengeti to give birth. It is the rains that begin in November that spark the movement. From April to June the herds can be found grazing in Tanzania’s Ngorongoro Conservation Area and in the southern reaches of the Serengeti. The Wildebeest begin breeding, typically in May. This is typically the time when the herds need to head north across the Mara River, from Tanzania and into Kenya. This river is home to vast populations of enormous Nile Crocodiles who lie in wait of the crossing herds. A truly incredible spectacle that can also be quite harrowing to observe. The cycle begins again with the November rains in the south. A part of the migration is the perilous river crossing from Tanzania to Kenya. It is both a frightening and exhilarating experience to observe – one of wildlife’s true spectacles. 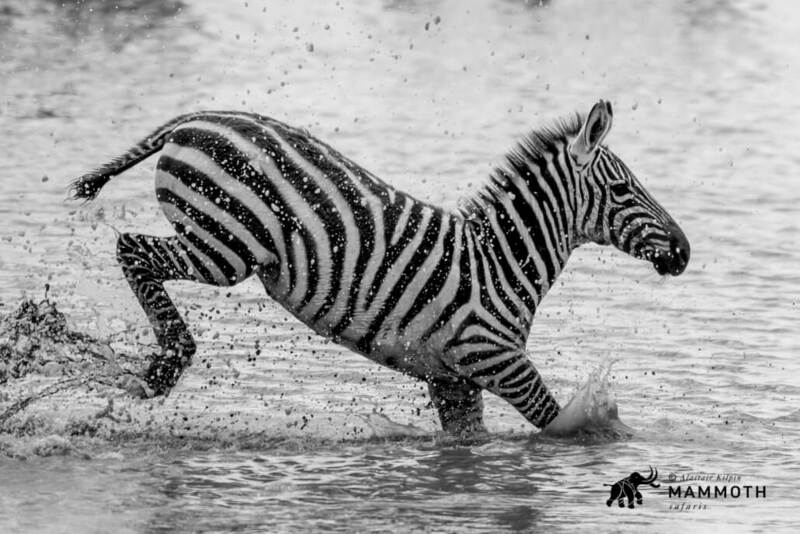 In search of grazing, both Zebra and Wildebeest move in huge numbers across the river. 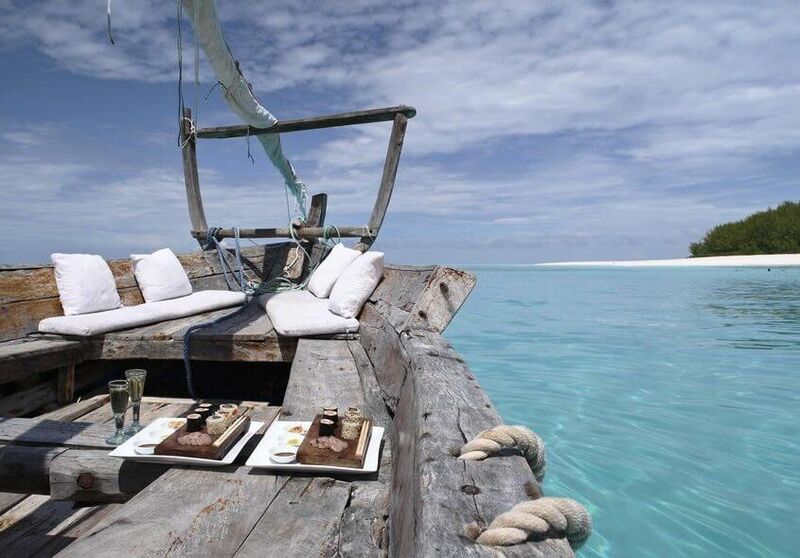 The islands off the coast of Tanzania, including Zanzibar, Pemba and Mnemba are the most amazing destinations for a beach holiday. The perfect twin to any safari. 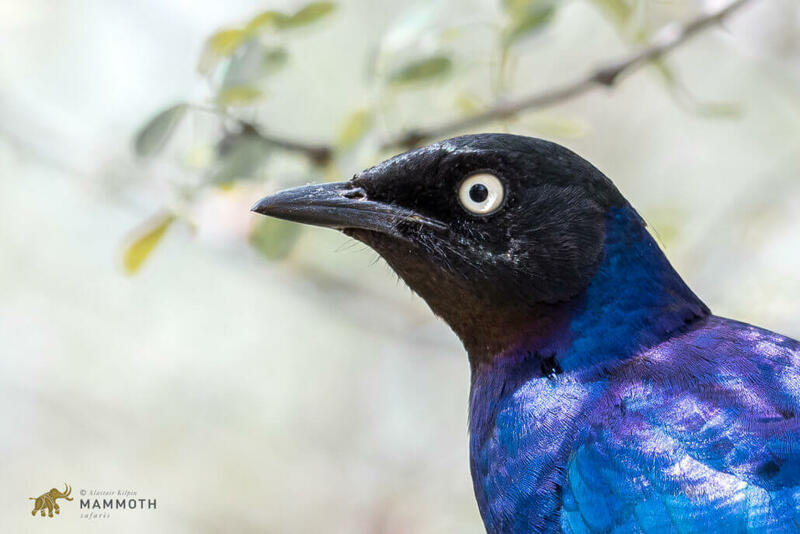 A Rüppell’s Starling is but one of many of the glorious birds one can expect to see in Tanzania. The bird life here is spectacular and there is much for the serious birder and the amateur alike to enjoy. 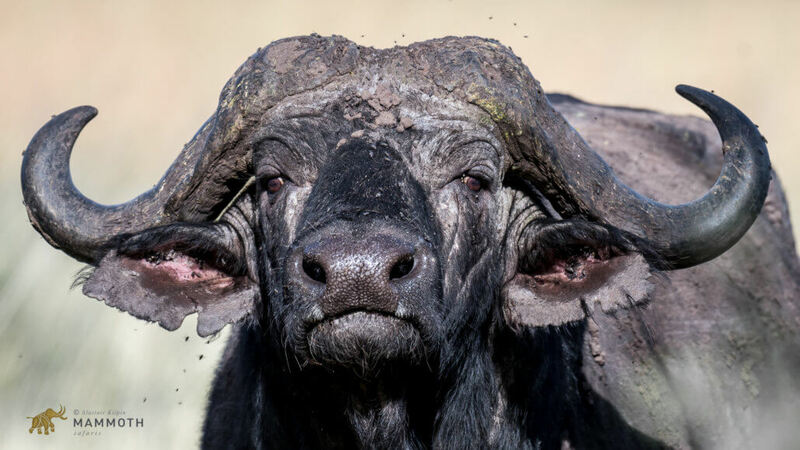 No flies on Tanzania as a world-class safari destination, but certainly one or two on this old African buffalo bull. A member of the Big 5 and part of the incredibly diverse fauna of Tanzania. Lions in the Lake Manyara National Park in Tanzania have long held a reputation for spending time up trees and often held the title of “The Tree Climbing Lions of Lake Manyara”. 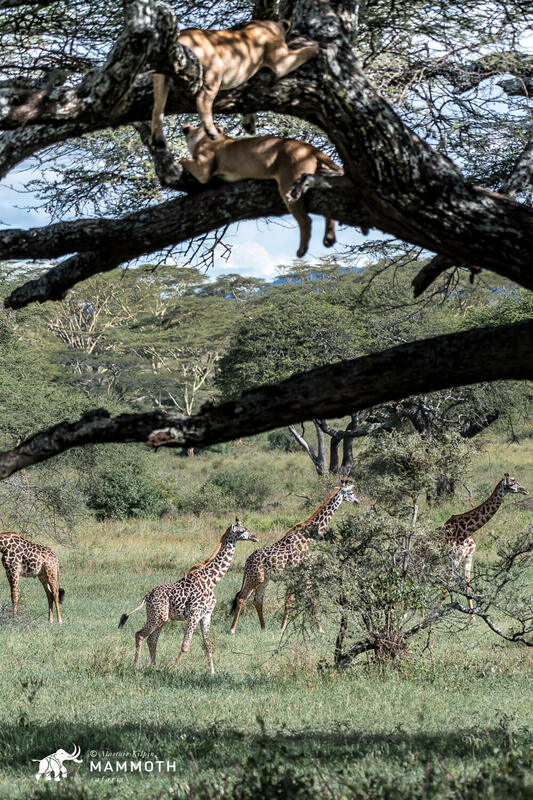 The lions photographed here are in fact in the Serengeti and it seems that Tanzanian lions have somewhat of a penchant for tree climbing. Lions are not the most graceful tree climbers but as is seen in this image, can and do climb trees. It’s not often you see a lioness looking down on a giraffe! Flights are regular and reliable with many major international carriers servicing the country of Tanzania. There are direct and one-stop flights from overseas to Dar-es-Salaam, Kilimanjaro (near Arusha) and Zanzibar Island. Arusha town is the starting point for Tanzania’s very popular safari circuit to the north. Kilimanjaro International Airport (JRO) is situated some 29 miles east of Arusha. Tanzania’s main airport is Julius Nyerere International Airport (DAR) and is 8 miles from Dar-es-Salaam. This airport is a perfect launching pad for the southern safari destinations. From Arusha or Dar-es-Salaam, one can easily fly (our recommendation) or drive between reserves, or you could opt to do a bit of both. Most flights to reserves leave from the much smaller Arusha Airport (ARK) located 5 miles west of the town of Arusha. 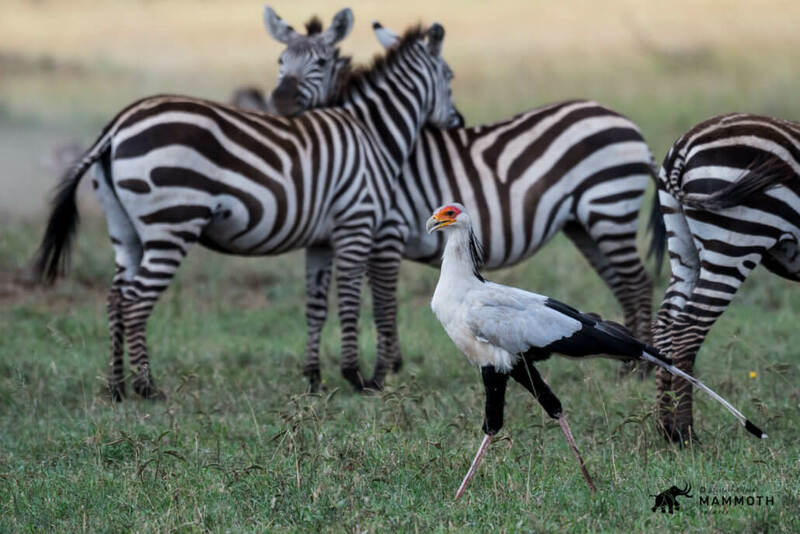 Here a stately Secretary Bird strides confidently across the plains of the Serengeti, with zebra in the background. Mount Kilimanjaro is a central feature here, as the camp offers spectacular views of Africa’s tallest mountain. The snow-topped peaks of both Kilimanjaro and Meru can be enjoyed from the treed viewing areas. 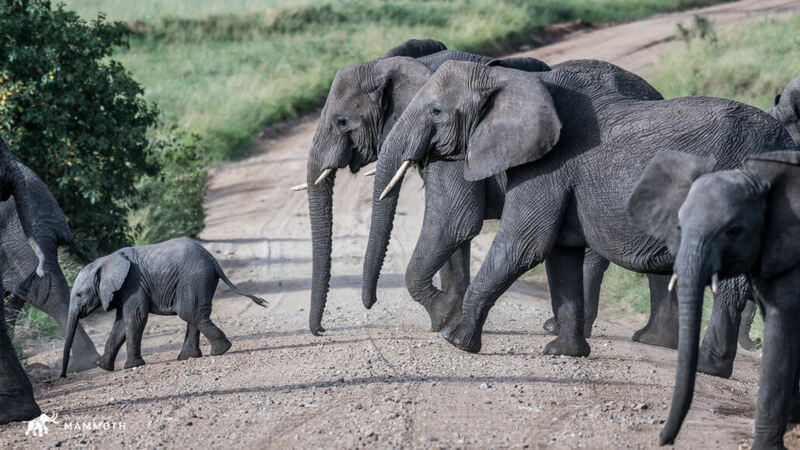 Game drives into the neighbouring Arusha National Park offer wonderful sightings of plentiful wildlife, with particularly good elephant viewing on offer here. The views of Africa’s giants dwarfed by the enormous mountainous backdrop of dormant volcanoes makes for some of the most dramatic photographic opportunities. Elephant herds such as this one in the Serengeti can be enjoyed across conservation areas of Tanzania. Situated in the northern reaches of the Selous Game Reserve, the Sand Rivers camp is the perfect base from which to explore this enormous wilderness. All the rooms at this camp are open-fronted with superb raised decks that look out onto the gentle curve of the Rufiji River below. Activities here include game drives, walking safaris, fishing and boating and the staff here really know how to make the most of the setting to ensure you experience an incredible safari. 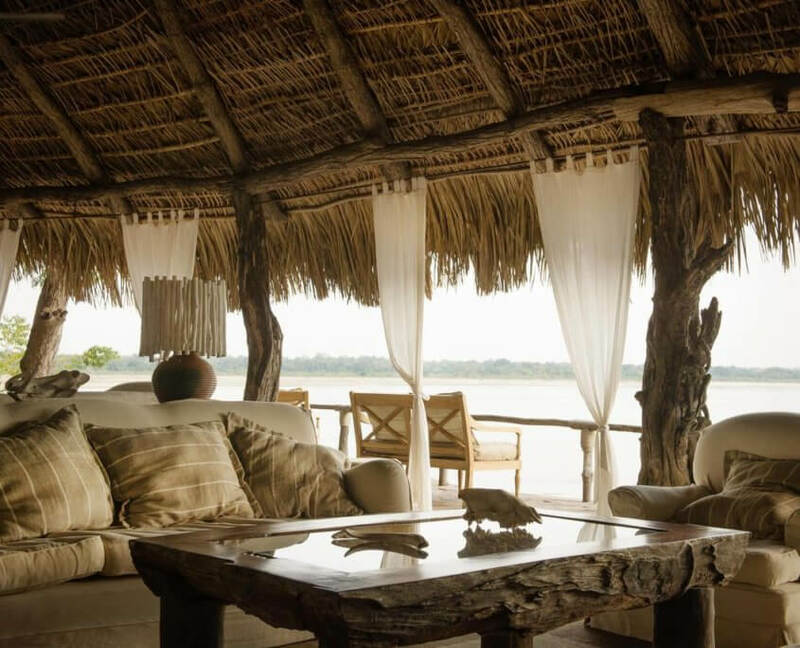 The Sand Rivers camp in the Selous Game Reserve – offering unrivalled views out across the Rufuji River. Here one can simply relax and enjoy the wildlife as it passes you by. As the name implies, “Little Oliver’s” is a small camp offering deep in the Tarangire National Park. The camp is situated on the banks of the Tarangire River and in this wildlife hotspot one need not stray to far from the camp’s deck to enjoy magnificent wildlife sightings. There are just 5 tented rooms in this intimate camp, all ensuite and offering outstanding service and attentions to detail. 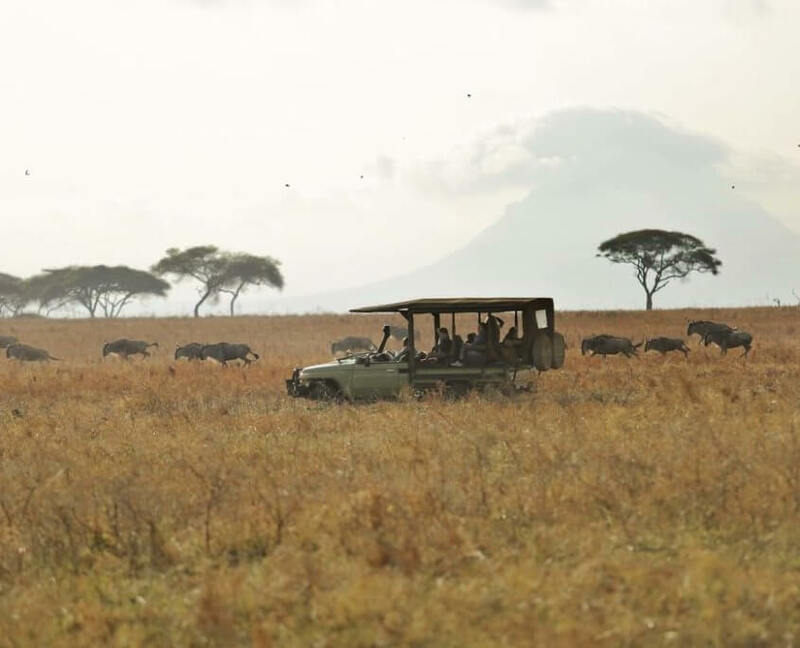 Game drives at Oliver’s Camp in the company of Africa’s sleeping giants – the views of the mountains of Tanzania are spectacular here, giving everything some perspective. Namiri Plains is a gorgeous tented camp options in the central Serengeti with a spectacular and remote position that really gives one a sense of wilderness and escape. The camp is elegant, comfortable and finished in a contemporary style. Despite the luxury and comfort of the camp, the vast plains of the open Serengeti are the real attraction. Namiri is an ideal place to experience the massing herds of the migration. 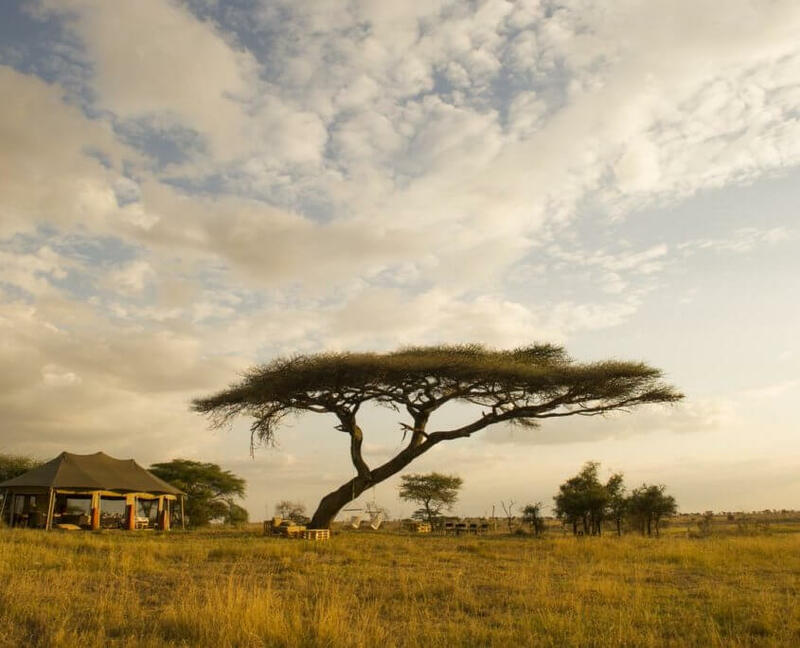 Sit and relax under the shade of the iconic “umbrella thorn tree” Vachellia tortilis and watch Africa pass you by. This is the setting in the Central Serengeti for the stunning Namiri Plains camp – remote but tremendously comfortable. There are distinct dry and wet seasons in Tanzania, despite its proximity to the equator negating real summer and winter distinction – the climate can be broadly described as tropical. It is hottest and most humid on the coast, with southern and western low lying areas also getting very hot, but not suffering the same humidity as the coast. Prepare for warmth rather than cold, but do pack a jumper just in case. For more information on how to book your Mammoth Safari to search for wilderness, adventure in the wilderness of Tanzania, please contact a member of our sales team by sending an email to info@mammothsafaris.com. Please also visit www.mammothsafaris.com for more destinations and journeys.